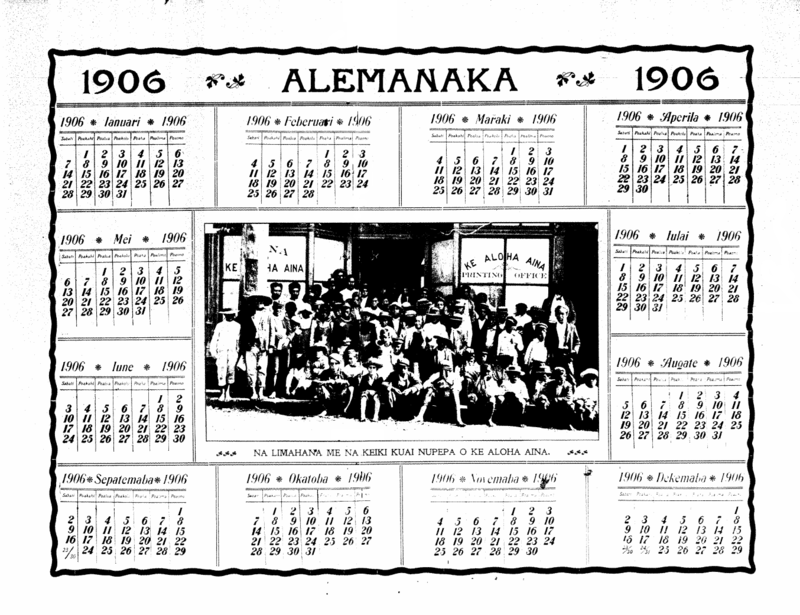 Here is what that 1906 calendar from the Aloha Aina looked like. Aloha Aina, Buke XI, Helu 1, Pakui. Ianuari 6, 1906. This entry was posted in Uncategorized and tagged "Ke Aloha Aina", Edward L. Like, image, newspaper boys, subscription incentive, typesetters by nupepa. Bookmark the permalink.